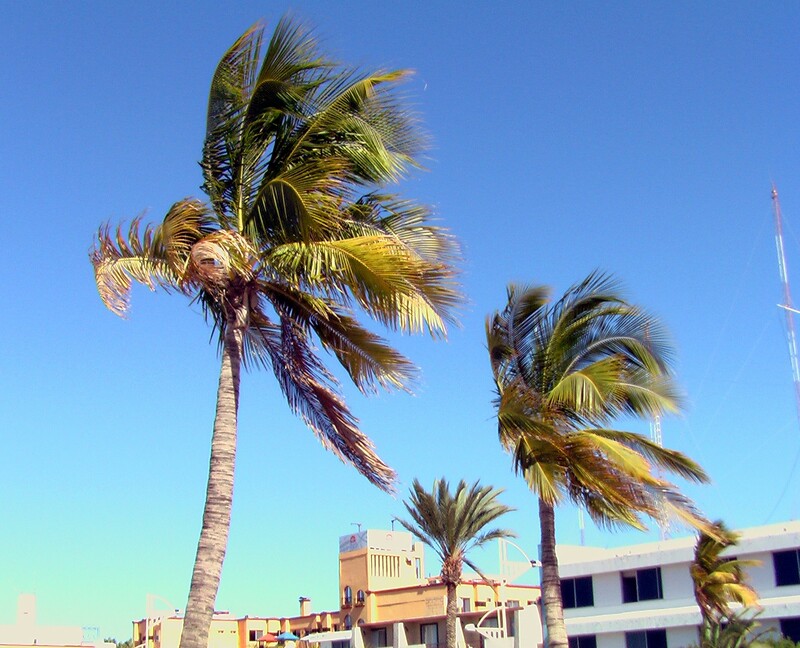 It wasn’t the best of weeks for fishing Strong winter winds whipped the area for several days giving even the palm trees along the La Paz Malecon on the waterfront little respite. Horse yellowtail like this one caught by our amigo, Art “Doc” Flippin who comes all the way down from his job in the Arctic to fish with us, have been very close in the shallows just south of Bahia de Los Muertos. The promising bite was shut down by the winds and we plan to recon the spot again hopefully by mid-week when the winds should diminish. 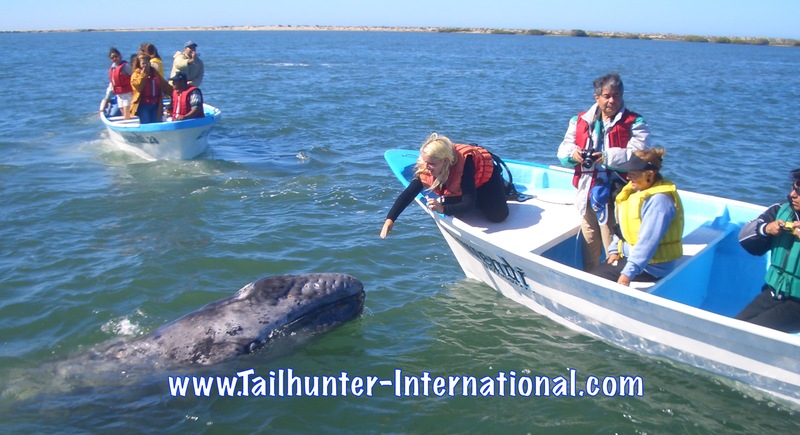 It’s whale season as the grey whales have begun returning to Bahia Magdalena to the west of La Paz! It’s an incredible experience to get this close to the gentle animals and Tailhunters is running daily trips now through March to spend a day on the bay with the whales. 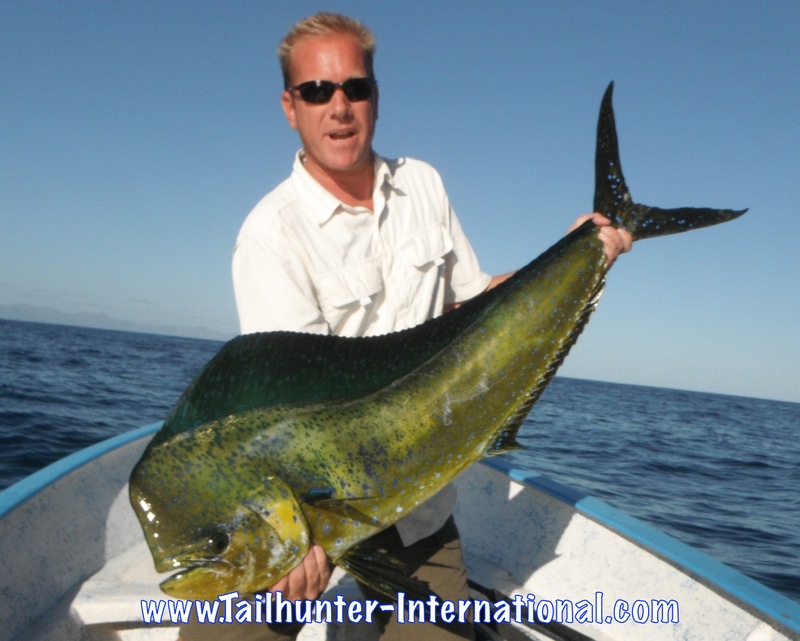 Just e-mail us at riplipboy@tailhunter-international.com. Thanks to all of our amigos who came to visit us at the Denver Convention Center this past week. We has a blast seeing old friends and meeting new ones and talking about fishing in La Paz. Our “tour” now takes us to Puyallup, Washington at the Washington State Fairgrounds. Jill and I will be in our booth from Wednesday to Sunday. 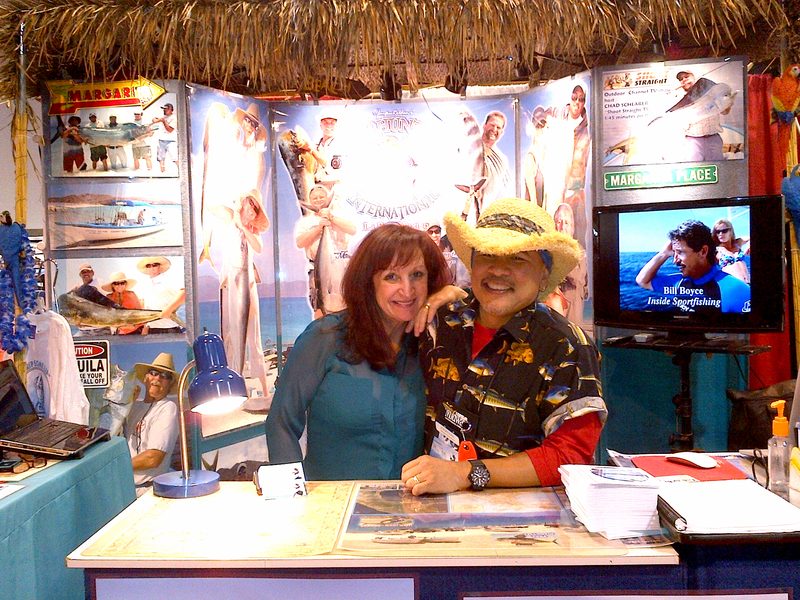 Come say hi and let’s chat about your 2013 La Paz fishing vacation! Not much of a week of fishing. In fact, how about zero fishing. I think that’s the first time I’ve reported that…EVER in 17 years down here in La Paz! Cold weather and incredibly strong winds kept everyone off the water or close to shore. Certainly, not much fishing going on, but thankfully, we didn’t have anyone reserved for this week. It wasn’t just choppy, it was rough out there as it seemed the winds blew continuously as a windy front pushed through and chilled everyone! If you walked around town, everyone seemed to be bundled up although many tourists found 67 degree weather to be rather pleasant. For locals, there was a rush to put on jackets and long pants! Commercial guys say there’s still some dorado outside at the 88 spot east of Cerralvo Island but no one really wants to go out there and get smacked around on a long run. There’s also yellowtail stacking up at the north end of Cerralvo Island as well as around Bahia de Los Muertos. The week really started out promising, but then the winds came up and it wasn’t worth it to go out. Everyone just wants the winds to stop! Typically, we do indeed get winds during the winter, but rarely is it do we get continuous winds for several days. Normally, we get it for a day or two intermittently. We’ll keep an eye out on it. According to the advisories, we’ll start to see some decrease in the velocity of the winds about mid-week. Hopefully! We had an outstanding show at the International Sportsmens Expo at the Denver Convention Center this past week. But now, the “2013 Tailhunter Promo Tour” rolls on! We drive back west a zillion miles and will be at the Washington State Fairgrounds in Puyallup, Washington (near Seattle) from Wednesday to Sunday! For more details, click this link: http://www.thesportshows.com/wss/ Hope to see you this week! Come pick up our 24 page brochure and DVD and check out our new t-shirt styles. 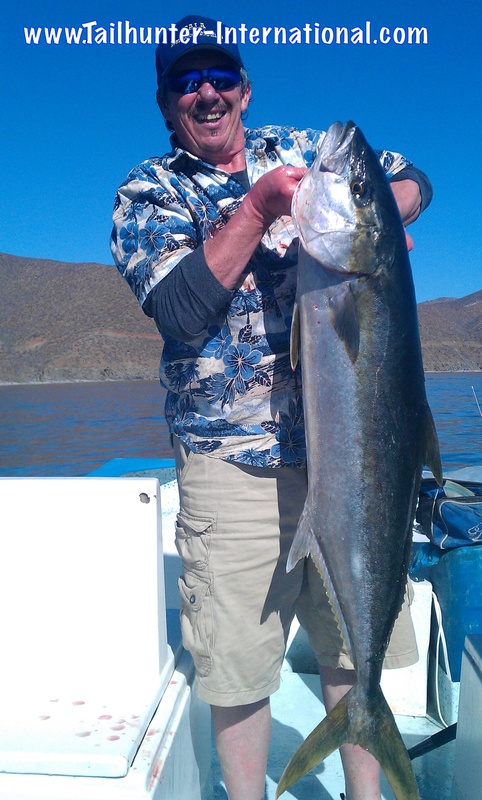 Plus come talk to us about setting up your 2013 La Paz fishing vacation!